Poet Ada Limón talks with poet and novelist Carrie Fountain about her new book, The Carrying, and what it means to write intimately as a woman. We also hear from her snoring wonderdog Lily Bean. Poet and novelist Carrie Fountain talks with Natalie Diaz about "Envelopes of Air," a poetry project she did with Ada Limón for The New Yorker, and much more. 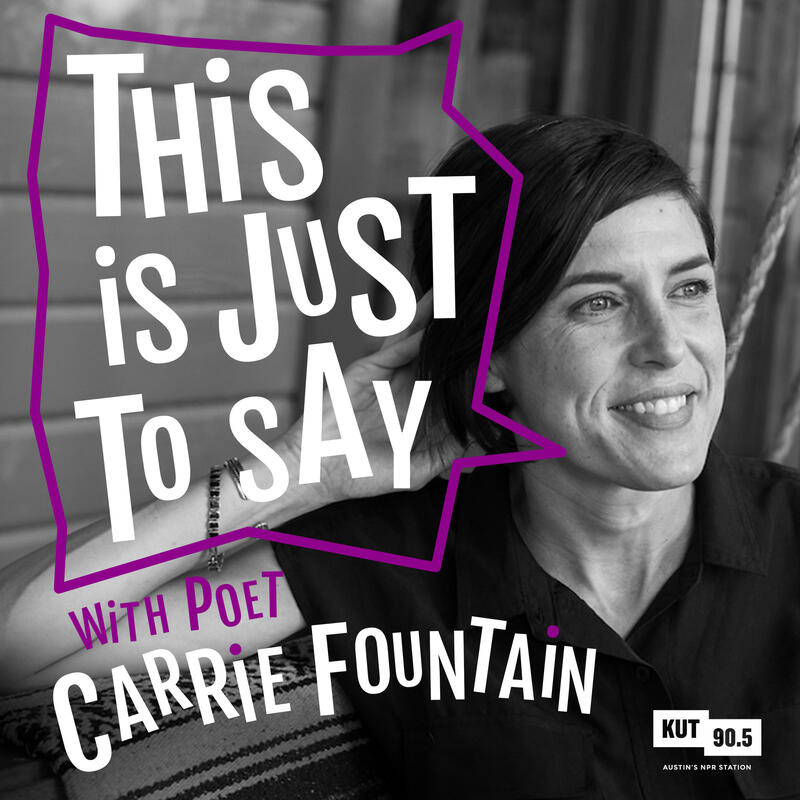 Host poet and novelist Carrie Fountain talks with poet Tarfia Faizullah about how the loss of her sister in a car accident influenced her poem "West Texas Nocturne." You can check out an extended version of this interview by clicking on this link. Poet Mahogany L. Browne joined poet and novelist Carrie Fountain to talk about how she came to poetry, to share one of her favorite poems by Hiwot Adilow and to read her powerful poem "Black Girl Magic." You can listen to or download the show by clicking on this link. Poet Sam Sax talks with poet and novelist Carrie Fountain about poetry as biography, the history of medician, poetry as performance and much more. He also reads his poem "#Hypocondria" from his book Madness, and shares one of his favorite poems, "Katherine With The Lazy Eye. Short. And Not a Good Poet." by Francine J. Harris. You can download this story by clicking on this link.